Max Conte has bubbled under for four years on the local and international scene as a dj, promoter and radio presenter, before breaking out in 2011. Having started promoting in 2007 in various venues, he has gone on to greater success with his DeepIntoTheBowelsOfHouse operation. On the club front he has supported the likes of Alex Celler, Agnes, Trus’Me, Alex Niggemann, Boris Werner,Massi/Dl, Butch, Matthias Tanzmann and many more. He has also hosted a D.I.B.H tent at the award winning Life festival in Ireland in 2010/11. 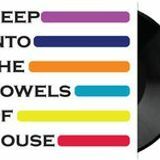 Max&apos;s productions and remixes have been turning heads this year with "Dark On Fire" to be released with a remix by Moodymanc (20/20 Vision) and " Handle me" will feature on Electronique Ibiza Sampler album 2011 with more remixes out on Deso Records also.